During regular dental appointments we look at the neck, head and soft tissues within the oral cavity for any noticeable signs of cancer. With ViziLite Plus we are able to find suspicious sections within the mouth sooner. Similar in fashion to other types of serious disease, early detection of oral cancer is essential for positive outcomes. Unfortunately, the trouble with mouth cancer is that 70 percent of the time it cannot be seen by the dentist until it has progressed to an advanced stage of cancer. ViziLite Plus innovative technology helps us to see abnormal tissue in the mouth, before it is even visible to see or detect. 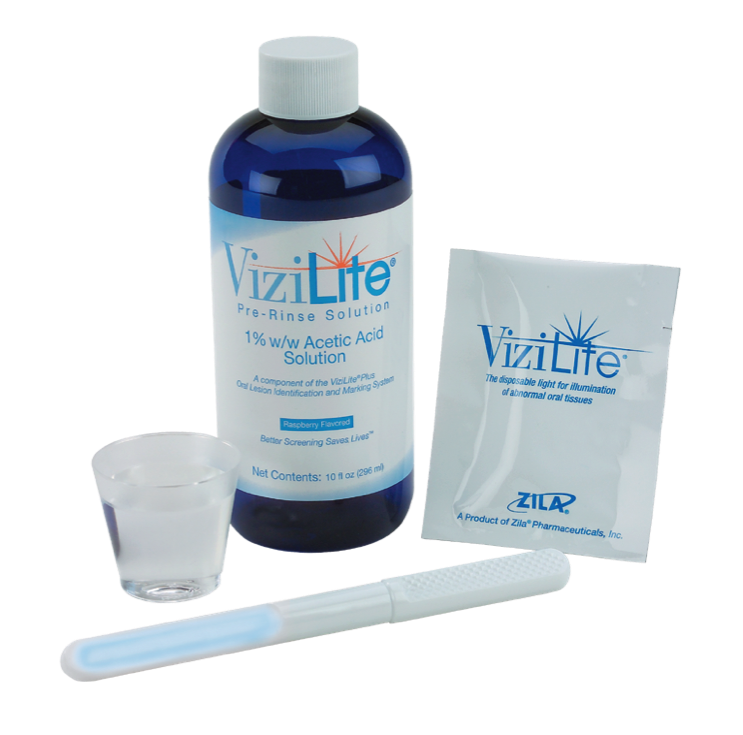 ViziLite Plus moves over oral tissue after the application of a rinse solution. Healthy tissue will attract the light and look dark, whilst any abnormal tissue will look white. The aim of ViziLite Plus is to find tissue changes as soon as possible – once abnormal tissue is detected it is down to us to decide what the next steps will be.